Google is the primary hub through which 90% of all internet activity transpires. Google controls 75% of on-line ad revenue. Googles algorithms manipulate the way information travels within the internet; and in actuality, Google can stop and shut down information according to their ideological definition & approval therein. With unlimited influence, and almost unlimited power over what you are able to see and hear on the internet, Google is ominous. So when see the leadership of Google crying over their inability to influence the 2016 election; and when you hear them say they will double their efforts to make sure it doesn’t happen in 2018; everyone should be alarmed. This entry was posted in 1st Amendment, Agitprop, Big Government, Conspiracy ?, Cultural Marxism, Decepticons, Deep State, Dem Hypocrisy, Election 2016, Election 2018, Legislation, media bias, Notorious Liars, Occupy Type Moonbats, Professional Idiots, propaganda, Typical Prog Behavior, Uncategorized, Voter Fraud. Bookmark the permalink. This Is a “Thank God It’s Friday” meeting? Right? No. It is a grief group for those who have been Schlonged. Ironic it being a TGIF meeting because there is probably not one of them that believes in God. “We” were going to lose. “We” were going to lose. And I’ve talked to fellow Googlers about how painful this is. It certainly sounds like she thinks of fellow Googlers as within the “we”. From my pre-retirement days in a big politically correct corporation, watching this, I kept flashing on what it felt like to be a silent conservative surrounded by a wall of unthinking leftists. This was pre Trump so it was less overt. But there were times I had to wait out meetings that made me almost physically ill. I bet there were at least one or two people like that having to be there and listen to this groupbrainwash crap in order to keep jobs and put food on table. At what point does enough become enough! Our President is the only person that is willing and able to break these Liberal POS apart. I pray that he does or else it will only get worse. And I am with him! The problem is not anti-intellectualism but the “un-intellectualism” of a growing cohort of persons who, lacking talents for or training in scholarship, find vocations in micromanaging student behavior to combat imagined threats to “social justice.” Can anyone on a campus say anything sensible about how the adjective modifies the noun? Never mind. As Asher said, groupthink and political intimidation inevitably result from this ever-thickening layer of people with status anxieties because they are parasitic off institutions with scholarly purposes. The Manhattan Institute’s Heather Mac Donald says that between the 1997-1998 academic year and the Great Recession year of 2008-2009, while the University of California student population grew 33 percent and tenure-track faculty grew 25 percent, senior administrators grew 125 percent. “The ratio of senior managers to professors climbed from 1 to 2.1 to near-parity of 1 to 1.1,” she wrote. In her just-published book “The Diversity Delusion: How Race and Gender Pandering Corrupt the University and Undermine Our Culture,” Mac Donald writes that many students have become what tort law practitioners call “eggshell plaintiffs,” people who make a cult of fragility — being “triggered” (i.e., traumatized) by this or that idea or speech. Asher correctly noted that the language of triggering “converts students into objects for the sake of rendering their reactions ‘objective,’ and by extension valid: A student’s triggered response is no more to be questioned than an apple’s falling downward or a spark’s flying upward.” So the number of things not to be questioned on campuses multiplies. Explicit racism having been substantially reduced in American society, a multibillion-dollar industry for consultants (and corporate diversity officers, academic deans, etc. : UCLA’s vice chancellor for equity, diversity and inclusion earns more than $400,000) has developed around testing to detect “implicit bias.” It is assumed to be ubiquitous until proved otherwise, so detecting it is steady work: Undetectable without arcane tests and expensive experts, you never know when it has been expunged, and government supervision of everything must be minute and unending. And always there is a trickle of peculiar language. The associate vice chancellor and dean of students at the University of California at Berkeley — where the Division of Equity and Inclusion has a staff of 150 — urges students to “listen with integrity.” If you do not understand the peculiar patois spoken by the academy’s administrators, try listening with more integrity. The $64,000 question is, as this situation is the culmination of several decades of effort (yes I said effort), can it be turned around before the point of saturation has been reached, if it has not already? Personally, I am not optimistic. It is, and has been for some time now, a generational issue, and it’s going to take perhaps an equal time to correct. By then it may be too late. Yuri Bezmenov thought it was possible to turn it around. He even had a plan. His plan can be described as MAGA + QAnon + MAGAnomics + Trump. Basically EXACTLY what we are doing. Unlikely that this is a coincidence. We need to make sure that we have 20 years of MAGA. Do that, and we’re safe. The rest is just implementation details. Nowadays, radical intellectuals who are eager to be “transgressive” have difficulty finding remaining social rules and boundaries to transgress: When all icons have been smashed, the iconoclast’s lot is not a happy one. Pretty much describes the corner the left has painted itself into. All in good time Flep, all in good time. 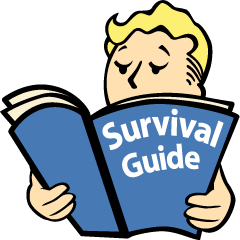 There has been a game plan set for each and every anti-trump politicians, msm, sjw media and the tech companies that support them. They are worried and scared. Everyone should take a deep breath and remain in cold anger mode. Our time is coning and it will be glorious and satisfying. Trust the plan! I was also constantly concerned, but no longer. Our vote turn out must be massive and believe it will. IMHO our biggest and omega powerful supporter continues to use POTUS as our weapon against this evil. I sincerely believe they have no idea what they are up against. Relax, pray the game is well underway and vote. Our and the worlds days are becoming brighter. Wikipedia explains that “coning” is the final state of frustration and cold anger, where a once broad-based and general annoyance has risen to a crescendoed Point of determined backlash focused on a person or group. Your right and thanks 🙏 for setting me straight! I agree with you fleporeblog. The GOPe in MI is doing everything they can to give Democrats a lot of power. I hope MI voters see through the ruse. Apparently, Jeff Sessions has invited the AGs from the 50 States to a conference about breaking up Google and Facebook. So Jeff is doing something right. I remember the anti-trust break-ups of IBM and of AT&T; extremely expensive for both. Serves’em right. 1. There are over 10K Google employees in the USA who are on VISAs, and Google wants to expand that number. 2. They talk about ‘fear’ of us, our side, President Trump, a lot. Fear was the overwhelming theme. 3. They fear LGTBQ people will lose their benefits for their partners or their marriages will be dissolved. Never mind the fact that Candidate Trump was pro-civil union a decade before Obama and 13 yrs before Hillary. MEDIA has convinced them to be afraid. 4. They have no distinction line between an illegal alien and a legal migrant. Many execs talk about their parents who were immigrants or refugees, which is fine and legal. 5. Sergei Brin mistakenly insists people who make over 100K vote for Trump while those who are ‘less rich’/normal/middle class voted for Hillary. That’s simply not true. How can Google get the data so wrong? 6. The CEO of Google, who is an Indian national, does not seem to like the political system in the USA because we only have two parties. He is culturally different and not an American, which is fine for him, but he should not be influencing Americans with his bias. 7. A female exec cried, on stage, and asked the people in the audience to ‘hug’ each other. OMG – what kind of female exec cries during a presentation? And asks people to hug each other? SMH. 8. While talking about fear of regulation in the USA, they stand to defend the hill of encryption, defying government requests. Yet, for China, they will create a Google where the government readily censors the people. 9. I see weakness and fear in the employees. It’s sickening and repulsive to me. How can these people lead their way out of a paper bag? 10. One young man talks about Trump, during the campaign, teasing about the fact that he hoped Trump would hack Hillary’s emails. The employee was PROUD of Google when they took a strong stand against China for a hack against a political enemy and he wondered, what would be the point where the Trump Admin would cross a line and Google would fight back (fighting for privacy). ….. when Apple would not crack the phone of the San Bernadino terrorist but was willing, when asked, to immediately crack the phone of Paul Manafort on behalf of Mueller’s team. ….. or when Google decided to create the China censoring platform for social behavior. …… or when Google tracked Hispanic voters to sway their opinion, as we know from the recently released email of their “Cultural Director”. 11. This is nuts. An employee asks about Trump’s proposed corporate tax reduction. Female exec responds “We would like to pay more tax” but “we have to follow the rules” and “you can’t just send in a check”. What the hell? She’s obviously no CPA, and SHE is the CFO of Google. Please Google, send in a check. No lie, she was actually criticizing Trump’s corp tax plan, as no economic advisor would approve, and the audience was dumb enough to clap and believe her. 12. The female exec who is like an HR Director is asked about visas, specifically. She says, “let’s see” and “He (Trump) is a businessman” and laughs, the audience snickers, mocking. She continues that it is too soon to ‘panic’, selling more fear. She said Trump has employed people who use visas (the seasonal workers for Mar-A-Lago so common in south Florida) and then, she said Trump has employed undocumented workers —– which is blatantly false. 13. One exec was talking about trolls from Russia…….. on the Friday after the election. 14. We have to know what “our” values are, and “we have to try to keep history moving in THE RIGHT (meaning what we believe is correct) direction. 15. When discussing the possibility of WW3 with President Trump, Sergei again refers to the idea we voted for Trump because we (our side) were bored. Bored. And then, he naturally comes to a conclusion that boredom leads to a rise in communism and fascism. 16. One white male rises and gives a speech condemning white men and their privilege. He reads his little cue card and everyone claps wildly. He encourages everyone to take a stand at Thanksgiving dinner to ‘see oppression’ and pushes white men/people to take Google training (for white men) and watch a movie called “13” apparently available at the office, illustrating the problems of white men. For the first time in my life, I now understand what is meant by the term “sheep”. Wow. I didn’t seen a leader in there anywhere. I would have been saying okay, now that Donald Trump has been elected, we’re going to need to switch gears. Let’s have some ideas. They don’t need leaders, they get their marching orders indirectly from Soros. Excellent post. And for the first time, today I’ve been doing my searches on duckduckgo.com. What I notice the most is not the tracking ads of my searches. Also, when I plug in a conservative page, what I’m asking for is actually at the top of the page. Instead of buried. Same here. Thanks so much for coming us in about that, Treepers! I find it difficult to believe that people who are drawn to –and remain at– the CTH have performed a search of any kind using Google within the last FIVE YEARS. I have used Ask.com almost exclusively for more than a decade, and now use StartPage as well. Sometimes DuckDuckGo. I am certain I have NEVER knowingly used Google for an InterWeb search. In the end, people are responsible for their own actions. Let’s support StartPage.com as well. They track even less than the DuckDuckGo folks (though both are good). Agreed. It is right down scary that these people are clueless and condescending at same breath. They take our taxcut but hire cheap labor by ten of thousands. Thank God we have PDJT, all these scam in this earth has been exposed. They are “social engineers” after all, doncha know! They engineer their BS narrative and feed it to the clueless sheep who eagerly gobble it up. “Deranged” isn’t severe enough of a description for these fools. Excellent comment. These people kept talking about how to solve the problems in our country, but I don’t recall electing any of them. I felt sorry for the conservatives who were subjected to this screed. Never, never in my entire career was I ever forced to sit through such a slanted presentation by my employer. I, too, was struck by the foreign speakers who saw no problem with censoring and condemning our freedoms that they have never enjoyed. It was disgusting and proves that Google, et al are very serious problems. The Indian national CEO really got to me too. He kept referencing what he is used to, parliamentary system…… dude, this is America. It’s cultural and India is not our culture. One said he was offended by the election. Foreigner if you are offended, no-one is retaining you here. this point of view didn’t start at Google – the indoctrination started at their elite university. they have melded in to the collective. super smart people with terrible people skills are easy to manipulate. and these people are happy to be in group. think religion, only they’d try to boycott you if that’s what you called their fanaticism. and that’s exactly what it is. Rather, the indoctrination started in middle-school or earlier. An entire generation of snowflakes. So scary! I had no idea it was this bad. It’s like something came along and sucked out all the testosterone. Thank you, Sundance, for giving these videos the attention they deserve. Exceptional analysis of the defeated clown show, daughternworks. Their display truly made me realize my 4 year old grandchild has better critical thinking skills and discernment than the whole lot of them combined. Here is a Pac Ad concept that should be seriously considered. A rainbow wash of a TV screen that morphs into a grey motif of uncertanity. While a sound track brings forward the emotional power of who is the target audience(the many voices). Excellent analysis; thank you. As an old fogey my main amazement at this video was the number of non-native-Americans at the top of the ladder at Google, and being surprised that in many instances I had to try extra hard to understand their English. I had not realized how far the native stock of this country had fallen in relation to the newcomers in the tech industries. We hear that low-level tech people are being brought in using specialized visas, but I, for one, had not realized how quickly they have moved up into the top ranks. As a woman myself I was not surprised to see the unprofessional behavior of the women on the stage. Women have much to offer in many areas, however, professional behavior under stress is not one of their strong points. It was one of my strong points. Then again I had to put up with this insane leftist stuff for years. I assure you I never cried in the office, though. Steph, me too. I’m at my best in the center of a storm when everyone else is melting down. I get low, unemotional, hyper-focused, and calculating. Husband says it’s like I have a third eye. The idea of an exec, a woman, not instilling confidence in subordinates, is a fatal breakdown. 17. The audience….I mean…..”employees” were wearing Tweedle Dee and Tweedle Dum hats. Indeed we suspected they were all leftists. What is even more revealing is the meeting format that tends to silence ANY thought that might be different from those at the top and within the meeting room. Peer pressure will keep everyone silent that might stray from the accepted narrative and since they probably go around the room calling on each person for input, employees are left with a choice of silent acquiescence or outright vocal support. Anything else is both corporate and career suicide and that folks is how groupthink is enforced! What could even be a larger worry will be when companies like Google can implant the microchips and the employees think it is wonderful, just more sheep huh? The Delphi Technique. Eliminate the opposition through consensus building to support your intended narrative. There was a lot of this going on in local agenda twenty one meetings. Short of violence what options are there? Certainly NOT convincing radical communists of a more just and free policy (the US Constitution), nor will reason and logic prevail. There is inertia behind the movement to enslave, willingly, you and me and what force will prevent that? They must sell an awful lot of soy products in the company cafeteria. And what’s up with those beanies? All they need is a little propeller up top. They be gittin’ along to get along, led my their noses. For anyone else that’s way too old…..
Time for Jeff Sessions to dust off the old AT&T break-up manual in the DOJ basement. Unless of course the Sergey Brin is Russian, then I guess Rosenstein will have to handle it. Sergei Brin and his family emigrated from Russia to the United States. The stated reason was to protect young Sergei from Russian anti-Semitism. Funny that, since Sergei and his Google-ites are discriminating against Conservatives and anybody who disagrees with their group-think philosophy. Sick and sad. The Russians again! I guess Sessions will have to recuse himself from this one too. One would think the Jewish People would realize capitalism and freedom of thought is the best way to prosper for all people. Israel is such an example that I am amazed Sergi dosen’t understand. Funny how he is supportive of Leftists who are as anti-Semite as the ones his family fled from. Only from conservatives & fair-minded people. Notice they aren’t getting any criticism from the Democrats & eneMedia. Thank you for this recap… one must wonder how much foreign money they get considering this….. Section 1. (a) Not later than 45 days after the conclusion of a United States election, the Director of National Intelligence, in consultation with the heads of any other appropriate executive departments and agencies (agencies), shall conduct an assessment of any information indicating that a foreign government, or any person acting as an agent of or on behalf of a foreign government, has acted with the intent or purpose of interfering in that election. The assessment shall identify, to the maximum extent ascertainable, the nature of any foreign interference and any methods employed to execute it, the persons involved, and the foreign government or governments that authorized, directed, sponsored, or supported it. Be careful what you wish for. What goes around comes around. Dem’s are so dumb. Exactly, they are group think while we are individuals who think. This IS a Socialist vid…. this vid is NOT our REPUBLIC……. To the idiot who said we voted for President Trump because we were bored…we voted for Donald Trump because we are awake!! Google should be broken into a million pieces! Just when I thought the elites couldn’t be any more out of touch with the Deplorables, we get this. I wonder if they ever spoke to a custodian in a Google facility or the cooking staff in the cafeteria. They are afraid to get out of their bubble and interact with real people. Absolutely Bets. They think the working man needs to be saved from himself. They are all in their bubble, believing they know who is best to run the country. They don’t believe we are intelligent to make that decision. After all we aren’t intellectual or enlightened enough! These elites are morally and intellectually superior don’t you know? And think of it – no one in the entire crew of millionaires knows what to wear. They all dress like high school students. Google is google. Why hasn’t the gop built the wall, or done the skinny repeal of Obamacare, or reformed the government? Why haven’t the fat white guys in the gop (Limbaugh, Hannity, Levin, savage, Coulter, etc always) funded the conservative alternative to google? Every time I see that female exec start to cry, I can’t help but laugh. Are you kidding me?! It brings back the joy of election night all over again…best night on tv in my lifetime. You can’t write this stuff! A female exec who cries during a presentation should be fired. Even worse, she said, “We WANT to pay more taxes” but we can’t because we have to follow the rules. “Not like you can just write a check”. I almost passed out. Chrystia Freeland would cry and get a hug. Canada really should fire her. They will pay a very high price for not firing Chrystia. Actually, the stupid bint CAN “just write a check.” There is no law against sending MORE money to the IRS, and that cow probably knows it but counts on her “Googlers” [how nauseating is that name?] to know nothing about it. It was joyous, wasn’t it? A moment to remember! I remember when this company betrayed the dissident Chinese bloggers to the Communist Chinese government. It told me everything I needed to know about this company and these people. The schadenfreude I taste over these tears is delicious. They meddled mightily and yet….they still did not win. Delicious. And, so, they are working with the Chinese, see 08:40 pm reply…. Um, it’s really Sundance, I defer. Everyone needs to watch this video. Take it in pieces if you have to. Has anyone researched how many of the executives and employees of Google, Facebook, Twitter (and other popular left-leaning companies) are former DNC or Clinton employees? Just curious about past ties. Have you ever noticed that all of these mush brained leftists can only express their feelings and their hatred for the president, but can’t point to a particular policy underlying their sentiments? Run the word “Palin” past them. Watch them poop their drawers, and not be able to explain why. How about those CIA spies? Did googly has the hand on it, too? Smooching with Xi? I thought Google was a monster back in the late 90’s early 2000’s when Clinton and his thugs at DOJ were going after Microsoft over browsers. It was shocking then how they were gobbling up smaller companies or start-ups that could possibly be good tech companies…but they were competition or would enhance Google’s bottom line. I wish there were a way to break up Google at this point just because of their massive size, influence on tech business and ability to squash competition, but I believe we are well beyond that ability now. Google made a move several years ago with their Cloud service and contracts with various federal agencies, and I do not see any ability to go back. I also suspect Google knows in detail any email, spreadsheet, document, report, etc., of every federal agency that uses their cloud service, and will destroy anyone who suggests they should be broken up. Google was pretty young, hot, and getting hotter. Yahoo was at least as hot, if not hotter. Actually, I think Yahoo had a slight edge in terms of market timing. Could be wrong. In any case. Where’s Yahoo now? Just another thing. Live by the tech, die by the tech. I hear ya on all mr. P. I think Yahoo could have offered significant competition, but then they got tanked in the dot com bust, and ran further into the ground with poor management. I recall AltaVista, used Netscape version 4 and emailed using Eudora….after upgrading from CompuServe. In fact, if I recall correctly, Netscape version 4 was a significant upgrade from their earlier versions. I really liked Yahoo maps back around 2000-2004. Yes, the Sloppy Google Crew should take note. Ya’ll ain’t that smart. 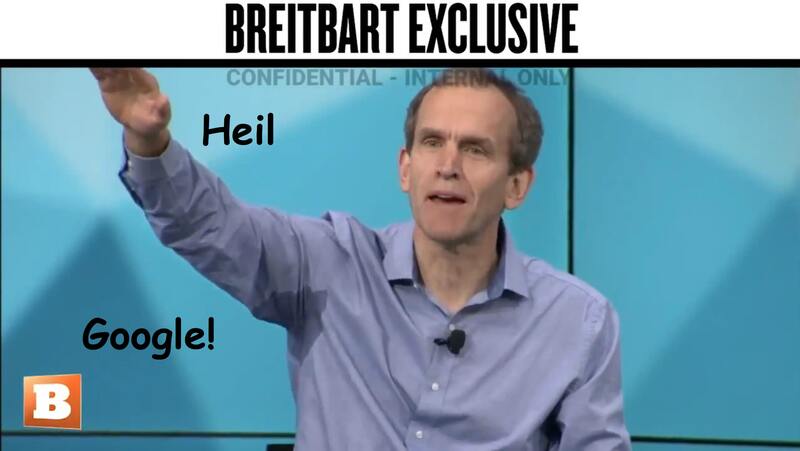 Goebbels is rolling over in his grave in envy of Google and Facebook. You have point. These are foreign interference. Need to guard the sanctity of midterm election. And again…. see 08:40 pm reply. Thanks. This time I read it. This is going to work out just fine. Thanks for posting again. Let’s not forget the fact Google is filled with Visa holding NON-Citizen employees. Might explain why? The tech industry employs them. On a daily basis the activities these companies are engaged in, wouldn’t want pesky citizens throwing up red flags. H1b visa holders know blowing whistle is a one way ticket. The management committee actually held “all hands on deck” videos to lament about their political loss? Absolutely stunning…as well as stupid. When the next congressional hearings are held this video will be a primary exhibit. These people are evil manipulative scum. I found the commentary how they are looking at alternative ways of shaping viewpoints beyond what you search, ie banning, hiding searches, tracking, etc. And they have their employees working in cult like conditions, long shift work, free food, rides to work, communal living, etc. Always work never leaving for the outside world. A hive. Gil, sounds like communism to me. Russia–China? I still call it Red China. And they define what is evil. What could possibly go wrong? Q: What’s the difference between Google and The Borg? At least the Borg are scary. These dweebs couldn’t scare Mr. Chicken. A: The Borg are honest about their intentions. Amazing that this search engine company feels it is their job/mission to affect the outcome of elections. On the other hand with all their power, they couldn’t get what they wanted. Reassuring actually. Also according to them, Russia spending a couple of hundred thousand dollars did lol. They did acquire Hillary, Clinton Foundation, DNC, GOPe, Koch, Podesta, MSM, Soros etc meaning lying, corruption, murder, and Soros employees value is a dying investment. That’s true, Esperanza. I learned years ago that a Google search for anything political needed to be taken with bushels of salt. I’ve used duckduckgo for anything important for a long time now. But still used Google sometimes for unimportant things like recipes because I know their engine has a lot of data. That changed after I saw this. It’s duckduckgo for me for everything now. Easy to select as search engine in a browser, at least on my iDevices. I do make a mental note that it may revert at an auto update & I will have to fix it again. Just happy I’m no longer even looking at that Orwellian Google nightmare. Next we need Twitter and FaceBook competitors! If they would do it in China, wouldn’t they do it here? In fact, aren’t they already? The search system, code-named Dragonfly, was designed to remove content that China’s authoritarian government views as sensitive, such as information about political dissidents, free speech, democracy, human rights, and peaceful protest. Liars and hypocrites. Google needs to be federally prosecuted for collusion, illegal in-kind campaign contributions, and violating individuals’ civil rights. That has to be one of the saddest sacks of beta doormats I’ve ever seen. Adult toddlers, the lot of them. Toddlers with power. The flow of information is controlled by Google. These same people throwing tantrums about the election will provide the straightjacket of restricted information while Political Correctness and a more Google friendly government that will follow after they thwart Trump will provide the boot on the neck. Just look at jolly old England, where the cops are asking the subjects to report friends and neighbors for incorrect hate speech. 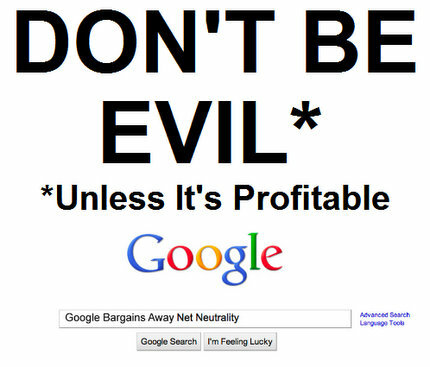 Do no evil. Work makes you free. Google has become the enemy of freedom on earth. What, has Rip Van Sessions recused himself from bringing anti-trust action against Google as well?! Actually didn’t he just announce an investigation into Big Tech? So when do we do something about this? When? Amidst all the divorce and broken families, not too much energy and attention left for what the kids are being taught at school or doing. In fact, for most such people, the more time the kids spend out of the house and in school, the better. The break-up of families was the first step, the rest just follows more or less inevitably. Interesting perspective. Looking back on my experiences with broken families of friends and relatives, I’d bet that’s true in an significant number of “modern” broken families. Single mothers or fathers are exhausted trying to both work (sometimes two part-time jobs) and raise children – I’ve seen that situation too often. Then when kids are home after school and on weekends, the smartphones, tablets, TV or computers are additional welcome babysitters while mom or dad unwind from the day/week, or cook or clean or pay bills or do office work at home or other head-of-household duties. Yes there are responsible parents who stay engaged in their children’s education and stay aware of and engaged with them at home as well. But IMO they are the minority. Shut down your gmail account. Trade in your Android phone. Use duckduckgo.com. Use social media to pass on the good word. Trump wont do anything ham-fisted like anti-trust or breakups but I’m sure it will be creative and our tech overlords will be the source of their own undoing. This video will facilitate them using monopoly laws to break them up (Ma Bell) vs implementing governmental control over social media. Thank goodness. Government control has too many downsides. Breaking up Google, Twitter, and Facebook into competing entities is an infinitely better solution. I don’t know who released the video, but they’ve done us all a huge favor (and by all, I mean all of us….left, right, middle, all). Cause the winds blow one way today, but they will blow another another day. And good grief, the people on that video are too dumb to realize they won’t be in power or important forever (Harry Reid, nuclear option- yeah, that worked out awesome for you in the long run, smh). Will they never learn? Google is already a subsidiary of Alphabet. Information is currency, and like currency and markets, sadly, perhaps we require controls and oversight. The government constructed DMCA, digital privacy laws, and the like. Perhaps it’s time to establish rules around information flow, not just content. Google execs need to punch “untuckit” into their Magic Google Machine. If you’re going to take over the world, you should at least be presentable. Google is a powerful entity, no doubt. But we’ve seen ’em come, and we’ve seen ’em go. At this point we all know there’s no such thing as “too big to fail”. Am almost at a loss for words. In my world I grew up without the Internet, email, etc. Then when I went for higher education I learned of how the US Defense laboratories invented a system to communicate with each other. It for sure wasn’t Gmail. Then Poindexter invented his TOTAL INFORMATION AWARENESS program. Remember the Eye of top of the pyramid logo? When that was “defunded” by Congress, low and behold, “FacePlant” somehow was born, along with all of the same people who used to be funded by .gov. And Zuckerbutt, at least in my mind, agreed to be brainwashed as another Manchurian Candidate. All for the money. And now Google. What do we do with THAT MONSTER? Or TWITTER? NONE OF THESE COMPANIES OWN THE TECHNOLOGY. In my mind at least it is THE US TAXPAYER WHO OWNS ALL OF THIS INTERNET AND COMMUNICATION TECHNOLOGY. WE PAID FOR IT WITH OUR US TAX DOLLARS. Ha.Ha.Ha. Let’s get Mueller to investigate Google collusion. All at the tax payer expense of course. I’ve been trying to tell people about Google for years but all I get is “but that’s how I find things”. They don’t want to hear about alternatives that may take some effort on their part. Using Google and their (many) tentacles, is funding the left. Addiction is hard to break. That’s the entire game plan of the left, addiction. Welfare, food stamps, entertainment in your hand. Living in Silicon Valley and having worked in the high tech field, I can tell you discrimination against white Christian hetero males is not only rampant, it’s expected. I don’t normally go to government for my problems, but in this case “affirmative action” is required. Time for WCHMs to be a protected class. Time to remove protections for all classes. Still waiting from PTrump to tweet this google video. Generally he is fast sending tweets. Excuse me for not knowing what “shadow banning” is. But I read somewhere today that Jim Jordan, Devin Nunes and 2 others on the Committee actively involved in the DOJ//FBI investigations have been “shadow banned by Twitter.” Whatever it means, this cannot STAND. I know remedy or cure, but sheesh. Freaky stuff going on when Congressional representatives are cut off from Twitter. BECAUSE THEY ARE REPUBLICANS INVESTIGATING CRIMES. GOOGLE FIRST, TWITTER SECOND. TAKE THEM DOWN. Ingraham: “Oh, ok, you stop a world war with a search engine [snort laugh]”. Hilarious. Silicon Valley loves themselves some Silicon Valley. Duckduckgo has citations for it. Tears from an industry that has sold all our private information, including our medical records to foreign countries. I laugh every some one tries to play the black hats vs white hats in the Internet. Let’s see, banks have insurance when customer’s credit cards are stolen right? So when the “black hats” steal the cards then the banks get paid by the insurance right? So who can say with any certainty that the banks aren’t hiring black hats, running their scam and then getting paid by insurance? Isn’t that exactly what they did with the preditory lending? Bundled it up and sold it on the stock market, had the Fannie/Freddie loans written off, had the mortgage insurers pay them, and then sold the property to groups of their “lender” pals or themselves and then flipped them for a profit. I don’t know how many times they doubled the value of the home in dollars in their pockets. So how can anyone say that the Internet isn’t also just another Ponzi scheme? Really, you believe that they make all those billions of dollars off of advertising?!?!? Nah. That’s not it. That’s not it by a long shot. They may have sealed their own fate. Name change proposal: Project Dumpster Fire. Judging by the treepers responses to the Google meeting video, most cannot understand how this group of idiot misfits could ever run anything. The answer to that is, they don’t. These clowns including the top management are simply a front. The real google executive controllers are well hidden. Think the Rothschild’s. Google is obviously being used along with billionaire puppets to advance a New World Order. Liberal Billionaires such as George Soros and Tom Steyer are almost certainly controlled by the Rothschild’s. Think how easy it would be for the Rothschild’s to give these people tips that could make them huge fortunes that allow them to donate mega dollars to the subversive left. It is pretty obvious that the Rothschild group that controls virtually all the worlds banking could easily do this. They have inside knowledge of everything, including currency trading and the ups and downs of companies and upcoming deals etc. around the world. The likely deal is that the Google CEO and the upper management are being allowed to make huge salaries to do the Rothschild’s New World Order bidding. The Google idiots were likely chosen due to their far left, save the planet views. They most probably truly believe that it is they who have made Google a success. It is pretty obvious to anyone with any business sense that Google is not being run by these childish tree hugging, ” lets teach the world to sing” collection of idiots. If it were, Google would have failed a long time ago. Can you imagine any major company surviving more than a week with an idiot like that making decisions? The real management is obviously elsewhere and it obviously has a very powerful agenda. Here is a very interesting video. It explains a lot about the Rothschild’s, the New World order and why Russia is being made out to be such a villain. Some of the video is a bit out there but its well worth the watch. If nothing else, it is some nutritious food for thought. “The real google executive controllers are well hidden. Think the Rothschild’s. Spell my name backwards, and you’ll understand this comment…-That idiot Indian guy gives us all a bad name!!! !